Metastatic Breast Cancer (also called MBC, stage IV or advanced breast cancer) is breast cancer that has spread beyond the breast to other organs in the body (most often the bones, lungs, liver or brain). In the U.S., it’s estimated that at least 154,000 people have MBC. 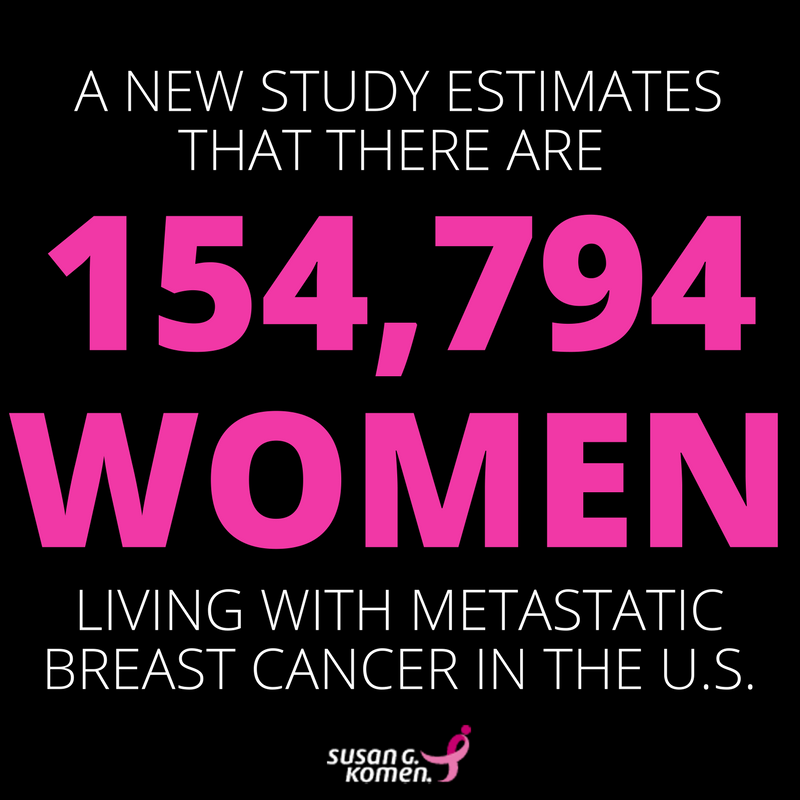 However, it’s not common (about 6 percent) to have MBC when you are first diagnosed (called de novo Metastatic Breast Cancer). Most often, MBC develops when the cancer returns at some point after the initial breast cancer diagnosis and treatment. This section discusses metastatic breast cancer treatment and care. You can also find information on support for you and your family. Although MBC is not curable, it can be treated. Treatment focuses on length and quality of life. As treatment continues to improve, so does survival. Today, some people may live many years with metastatic breast cancer. Many new drugs to treat MBC are under story. Clinical trials offer the chance to try new treatments and possibly benefit from them. People volunteer to take part in these research studies. After talking with your health care provider, we encourage you to consider joining a clinical trial. There are many ways to manage side effects caused by MBC treatment and the cancer itself. Tell your health care provider about any pain or other side effects you have. Controlling pain is a standard part of treatment for MBC. Many methods of pain control are available. Tell your health care provider about any pain or discomfort you have. Quality of life describes your overall well-being. Your mental and physical health as well as concerns about financial issues can affect your quality of life. Counseling (either one-on-one or in a group setting) can help improve your mental well-being and quality of life. Emotional support is also important for those who love and care for someone with MBC. At some point, treatment for MBC may be stopped. This can happen when treatment stops showing any benefit or when it greatly affects quality of life. Reducing symptoms then becomes the main focus of care. Hospice can make this later stage of care as comfortable as possible. If you have metastatic breast cancer, talk with your health care provider before getting a seasonal flu shot to make sure it’s safe for you. If you are a caregiver, the Centers for Disease Control and Prevention (CDC) recommends you get the seasonal flu shot.